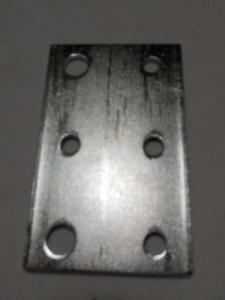 Six Hole Idler Bracket. It has two 3/8" holes to attach the idlers for the Shift kits. 1/8" thick x 2" wide x 3.25" long, Zinc Plated.